Everyone needs a strong foundation upon which to build, whether that be a relationship, career, or your home. Every once in a while that foundation may crack. It’s better to repair it sooner than later, but so many people allow the myths of foundation repair to stop them from taking action, or influence them into a poor decision. Don’t let these myths get the best of you when making your choice on foundation repair in San Antonio . 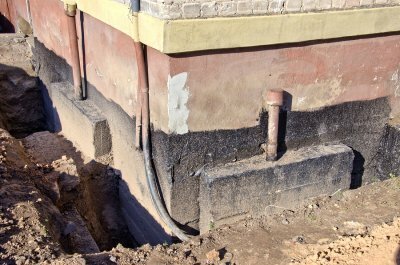 When it comes to foundation repair, there is the possibility it will be expensive, as with almost any home repair. In regards to foundation repair, it’s not always going to cost you thousands of dollars. The problem may only require a simple solution, such as drainage correction or filling in a crack. With cost in mind, once you’ve received your quote, don’t wait long to take action. Maybe the solution is inexpensive, and you don’t feel urgency to have the problem repaired quickly. Maybe the quote you received was higher than you hoped for, and you want to wait until you’re more financially secure. Both outcomes have a high possibility of costing you more money in the end. Foundation problems usually get worse over time; don’t hurt yourself more just because of price. Myth: I Found the Problem—Let’s Fill the Crack and Be Done! This is a combination of two myths: foundation cracks mean you’ve found the root of the problem, and if you fill up the crack you’ve solved that problem. Yes, filling up cracks with epoxy is usually needed and part of the repair your contractor will do, but those cracks might be a symptom of a bigger problem. That bigger problem may be on the other side of the house where the cracks aren’t showing because that’s where your soil shifted. There may a multitude of reasons, but the cause and reconstruction of your foundation repair needs to be left to the experts, your foundation repair contractors.